"Snehalaya is a pure creation of passionate, self less youth who have dedicated their lives for the justice of the most exploited and neglected class of our society. 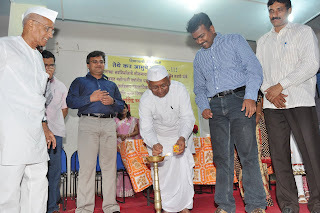 I always get new energy and hope whenever I visit Snehalaya and talk to the young soldiers committed to social change", said anti corruption crusader Anna Hazare. Anna, who is the first life member of Snehalaya was felicitated on the occasion of his 74th birthday at our Rehabilitation Centre. During this occasion, Anna inspirational words were "No law by itself, can curb the deep rooted corruption in our country till we create a large civil society. Fortunately there are many dedicated and honest govt. officials, NGOs and senior political leaders. If we can all coordinate our efforts, we can overcome hurdles on many fronts. Legislations like Jan Lokpal will definitely create a check to the corruption at the top levels. Time has come to give top most priority to our nation. Else, our next generation will have to face total anarchy." 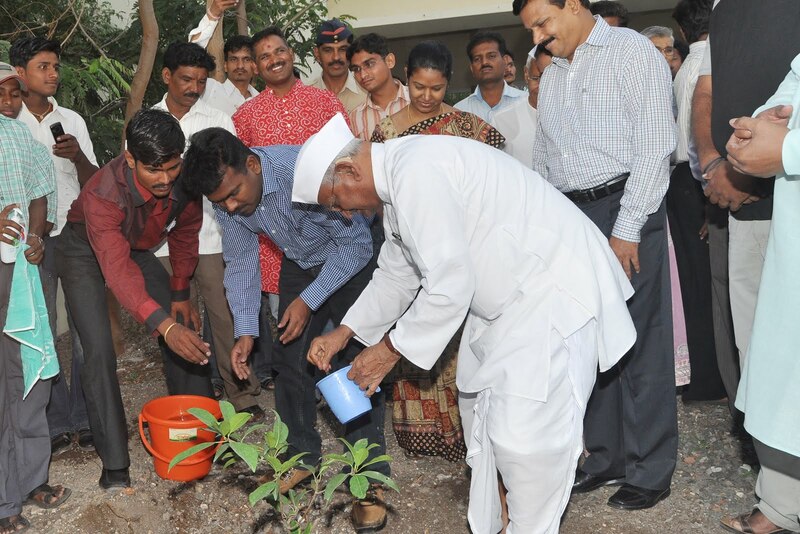 Snehalaya planted 1000 trees as a celebration on the occasion of Anna's birthday. Well known artist Pramod Kambale made Anna's statue in clay during the programme. Snehalaya also organized a send off ceremony to former District Collector, Dr.P.Anbalgan and welcomed the newly appointed D. C., Dr.Sannjeevkumar Dayal. Dr.Anbalgan appreciated the pathfinding work of Snehalaya and publicly appealed the new D.C. to extend all possible support to the cause. Mr.Popatrao Pawar (chairman of Idle Village Scheme of Maharashtra scheme), District Police Chief Mr. Krishna Prakash, several other top level government officials, eminent social workers and the media were present at the occasion.